This week something happened that makes me want to “blow our own horn”. Maybe we’re boasting, but I’m very happy by how we supported a client this week. Let me tell you more. 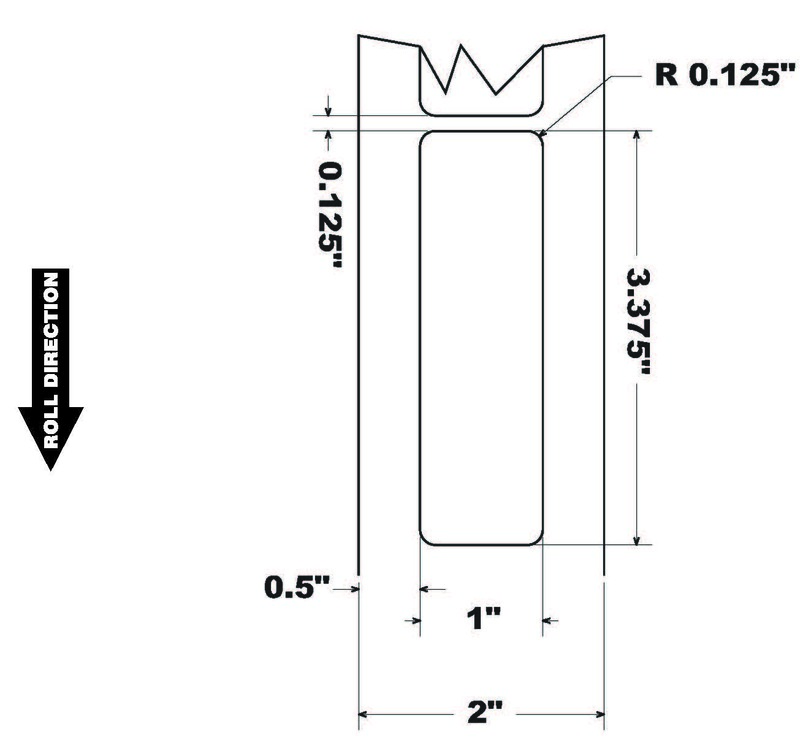 For this customer, we created a 1” label centered on a 2” liner. And it worked perfectly. 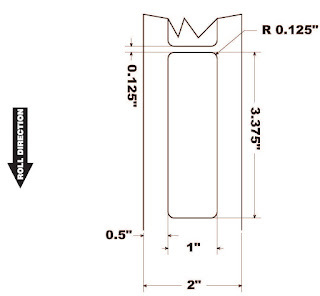 This applicator, however, would not allow us to account for the .5” liner on the “bottom” side of the label. 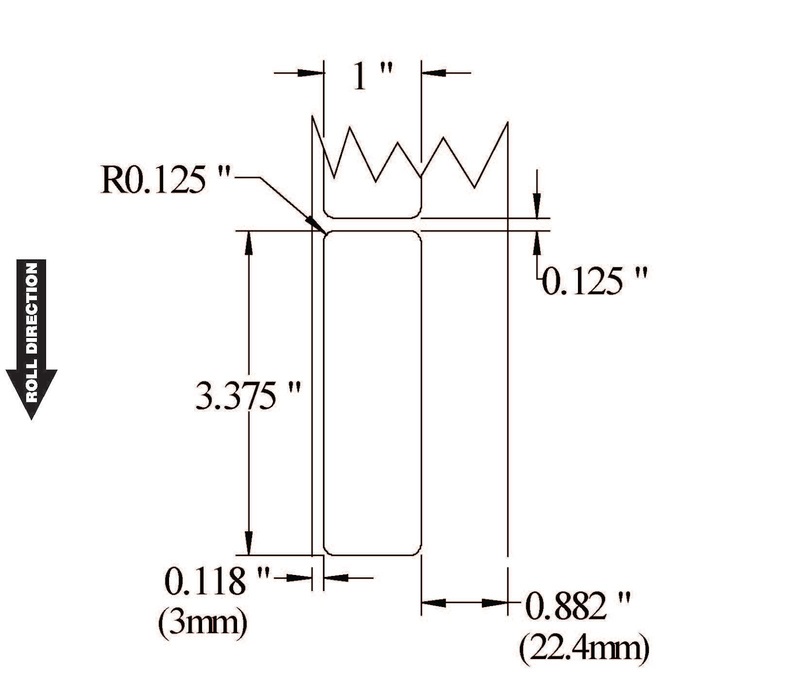 Normally, exposed liners are approximately only 3 mm or less. Attempting to apply the 1” labels centered, we would have place them above the start of the taper on the bottle. Therefore we had to move the label from the center. To make this change, we changed the die to make the labels, placing it on one side; and making the exposed liner basically on 1 side. It was very difficult to come to agreement, however, on which side to place the label. 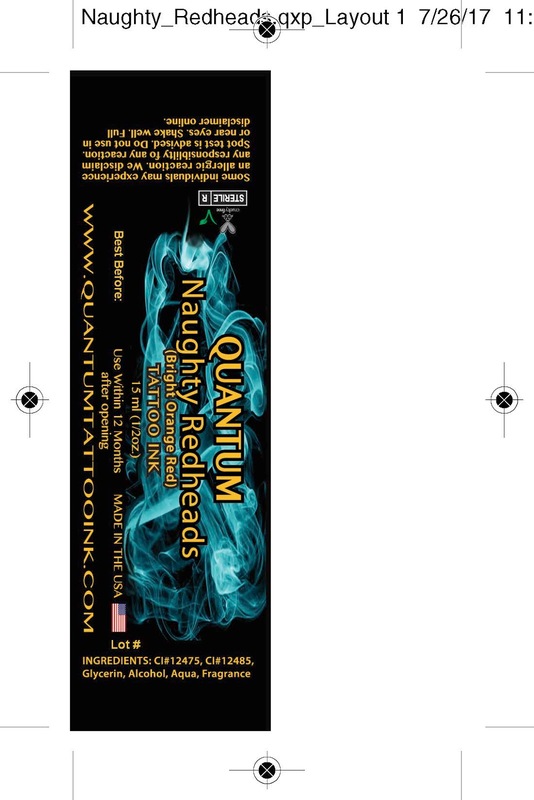 We had to account not only for the applicator placement of the label, but also the fact the labels would be rewound to place on the applicator. It may not sound complex, but this requirement led to a great deal of discussion. And some worry on my part. Once the labels were manufactured, our customer tested them; and found the labels did not print at all correct. They were still centered on the 2” label. Frankly, I had forgotten to tell the customer of the need to redo the artwork. Tim, our Support Manager, figured this out quickly. But was still “nerve-wracking” for me. To support our customer, we quickly recreated labels the labels adding the extra liner and bleed. Watch the Mini 500 Tabletop apply these 1” labels onto the bottle perfectly. Reading this post, it may not sound like much. But getting this label design to work correctly was a lot of effort. And I appreciate the patience the customer showed during this process. If you want to print 1” wide labels or any other difficult or special color labels on-demand, contact us. We’ll help you create the solution that meets your requirements. This post is from guest blogger, Tim Semic, Support Manager from Color Label Solutions. 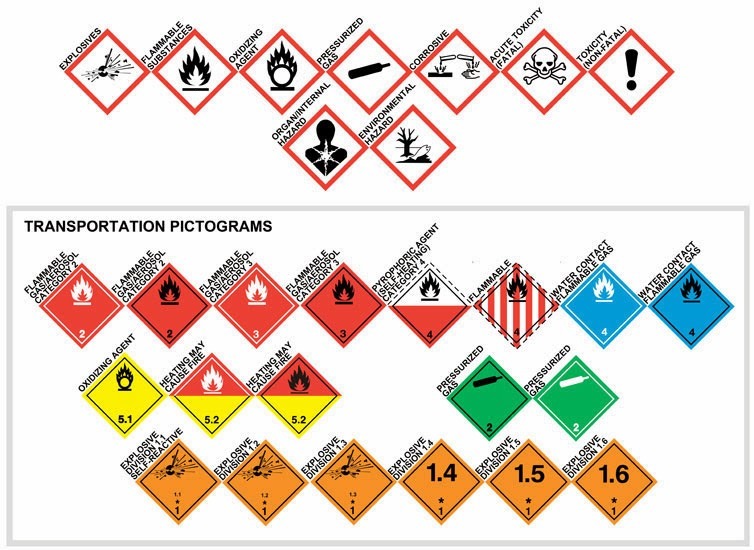 Would you like to provide a way for your employees or vendors to print labels that meet your exact specifications without the risk of accidentally making changes? 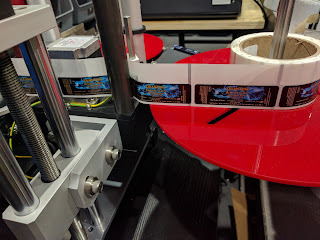 How about printing labels from multiple computers? Printing labels from a web browser? Even across the internet? Seagull Scientific offers two Bartender companion applications that enable you to print labels from a simple read-only interface. Those applications are Bartender Print Shop, and Bartender Print Portal. The user interface is basically the same between the two products, while the configuration is more complex for Print Portal. 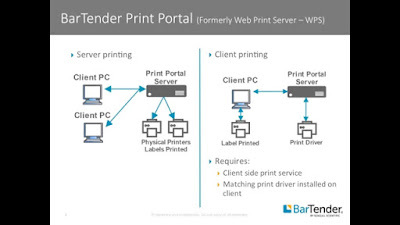 Bartender Print Station is bundled with every edition of Bartender, while Bartender Print Portal is only bundled with the Enterprise-Automation edition. 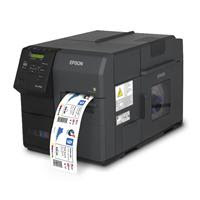 Print Station provides a mechanism for printing labels within an easy to use read-only interface. This configuration prevents employees accidentally changing or deleting labels. 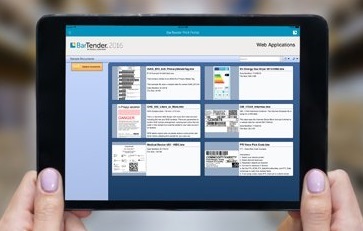 Consequently, some companies may wish to have a “design" computer using Bartender Designer, and then another computer or two set up for print-only label printing. Print Station can be configured for full-screen and secured; effectively turning a computer into a print kiosk. This type of kiosk would be great for printing badges, shipping labels, or static labels in a secured computer interface. If interested in learning how to configure Print Portal, see this YouTube video. As Print Portal is more difficult to configure, the video is long; but goes through every step in the process to get your users, either internal employees or outside vendors, printing the labels you need. 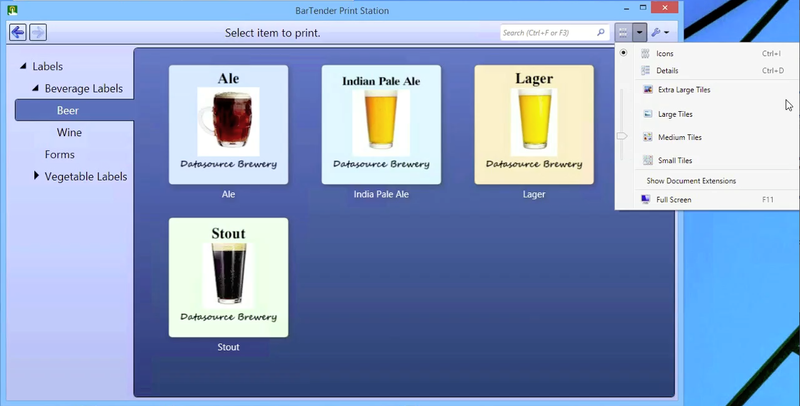 To operate Print Portal, you’ll need an Enterprise Automation edition of Bartender; which is licensed based on the number of label printers you require. The number of computers required to print labels will dictate which companion application to use. 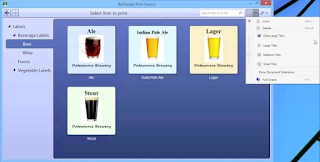 If you wish to provide label printing in a read-only interface from more than three computers, purchase the Enterprise Automation edition of Bartender. You will get security, ease of label printing, and some pretty heavy bragging rights too! And contact us to help you configure Print Portal to work for you and your company. Happy Printing! As of August 1st 2017, Epson will no longer sell the C7500G printer. 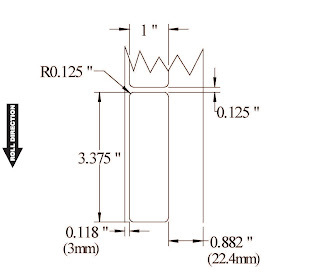 They announced end-of-life for this part number earlier this July. With the SoftRIP, you get better color control; especially important when trying to color match. For example, you may use it to match specified Pantone numbers, to match more closely the color printed on a label to the original artwork. However, you don’t have to use the SoftRIP to print to the C7500G. You can print to the C7500G from most if not all Windows based applications. For an incremental $955 for the C7500GE versus the C7500G, you get 1 year of on-site service valued at $1,029 and the Wasatch SoftRIP valued at $1,200. Even with just the on-site service, the GE bundle is a great deal. Personally, I believe the SoftRIP is best suited for professional printers; those individuals experience with using other RASTER IMAGE PROCESSORS (RIP) from other printing applications. Although not difficult, using the RIP is different than printing directly from a PDF and other Window-based software programs. Or contact us if you have any questions around printing color labels on-demand.